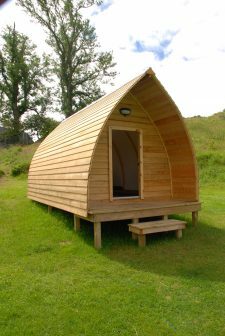 Camping huts provide a refreshing alternative to camping or caravanning. 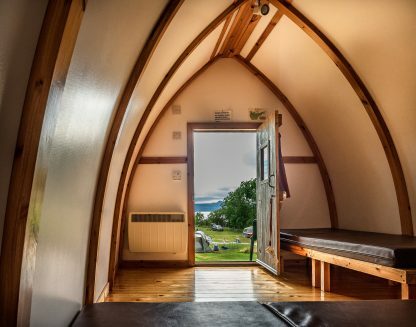 Robust and versatile huts, fully insulated and double glazed, offer all-season family accommodation for up to four adults. 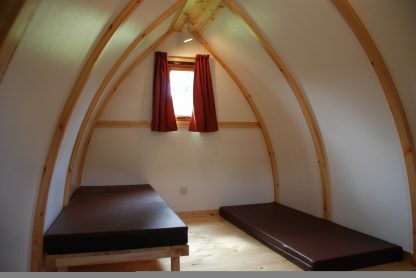 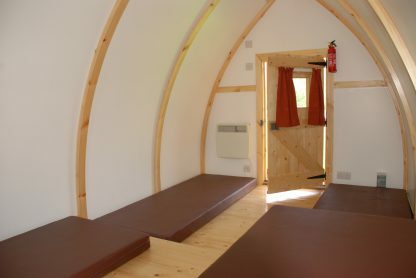 The Camping huts have four mattresses each approximately 4" thick which have a hard and a soft side for a good night’s sleep, electric heating, lights and a socket outlet for your laptop or travel kettle. 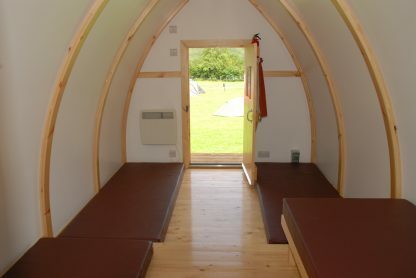 There is no campsite kitchen on the site, so you will need your normal camping equipment except tent and camping mats! 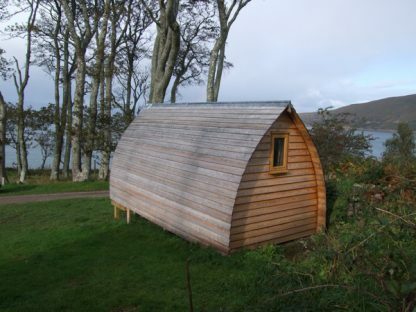 Please get in touch with us if you have any special requirements concerning access to the camping huts.